We appreciate your willingness to donate! 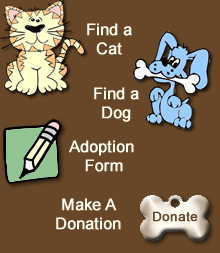 Because we are a nonprofit, donations subsidize the gap between the cost for care and the adoption fee. We do not have any paid staff and every penny we raise goes directly towards the care of these precious pets. It is only through the generosity of donors like you that we have the resources to help so many animals and hold them until we can find a home.